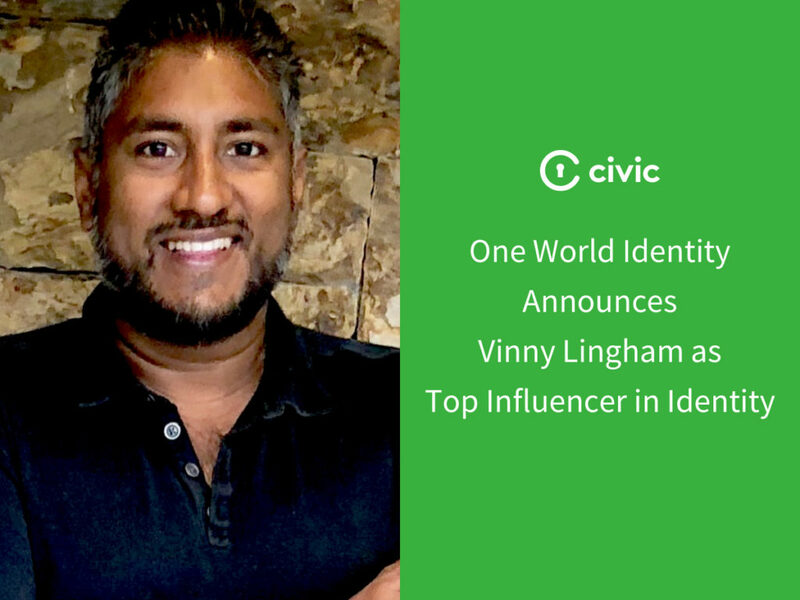 Civic is excited to announce that CEO and Co-founder Vinny Lingham has been named as a Top 100 Influencer in Identity by One World Identity (OWI), a leading market intelligence and strategy firm focused on identity, trust, and the data economy. Today, OWI released their latest annual list of Top 100 Influencers in Identity to recognize pioneers who are leading the charge to improve identity. For the second year in a row, we are thrilled to share that Vinny has been recognized for his leadership in the identity space. The concept of identity is evolving. 20 years ago our identities existed mostly on paper and physical IDs. When people needed to prove identity, it happened in-person or on-paper. 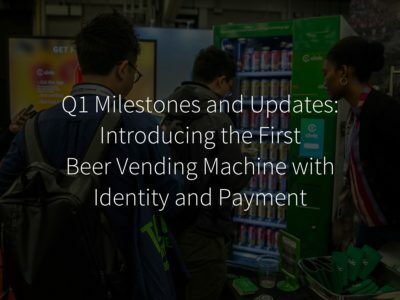 The digital transformation is moving more and more transactions online, yet the identity verification process has not kept pace with the technology. Without an organized way to safely and securely prove and verify identity online, personal data has been disseminated in countless databases online, often in places where it monetized and used without user-consent, or even used without user-knowledge. Online identities are becoming much more powerful than the identities that existed on paper. In addition to our identifying information, these accounts and credentials can be associated with all types of information that is valuable to advertisers and hackers, alike. 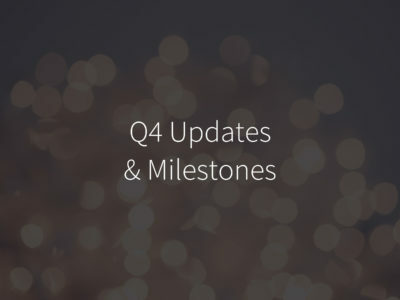 As Amazon numbers demonstrate, identity is a big, and quickly growing, challenge. 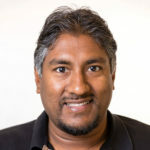 Almost every company must figure out how to safely and securely authenticate users and to protect the requisite information that is collected and managed. Even companies that just collect customer emails must comply with increasing rules and requirements. On the flip side, identity is becoming more critical for individuals as well. The ramifications for fake accounts and identity theft can be destructive and financially devastating for individuals. The amount of money that is lost to fake accounts is growing and leaving a wake of people who have literally lost control over their personal data, how it is used and where it is shared. Without ownership over our identity data, the ability to prove who we are is threatened, and that threatens fundamental aspects of our society. These are the reasons that we need to design new identity technology that helps both businesses and individuals control and protect the flow of personal data. Vinny started Civic with a vision: a future where everyone has a digital identity that they control. An identity that can be used around the world. An identity that can’t be misappropriated or taken from you. An identity that can be used to buy a beer or to vote in Presidential elections. To get there, we need to stop thinking about identity as pieces of information that we share and start thinking about identity as something we own and control. Identity will only become more important as our world becomes more digital. We’re happy that our CEO is recognized as a leader in this space, and we’re grateful that organizations, like One World Identity, exists that recognize the importance of identity and bring awareness to critical challenges facing business, organizations, and people around the world. 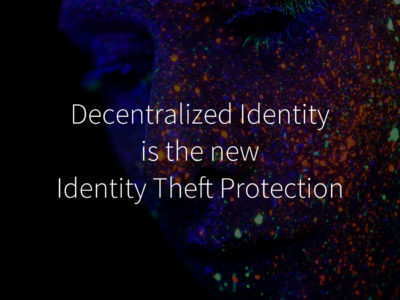 We look forward to seeing these identity influencers and organizations work together to create solutions for these identity challenges that give everyone more autonomy over their identity data. ©2019 Civic Technologies, Inc. All Rights Reserved.